✍ Hyperledger Iroha is a blockchain framework that is designed to be simple and easy to incorporate into infrastructure projects requiring distributed ledger technology.It emphasizes mobile application development with client libraries for Android and iOS. It features a simple construction, modern, domain-driven C++ design, along with the consensus algorithm YAC. ✍ Sawtooth Lake blockchain technology can provide an immutable record of the provenance and lineage of various goods. In combination with Internet of Things-enabled sensors, Sawtooth Lake can manage the ownership and journey of goods. Distributed ledger solutions built with Hyperledger Sawtooth can utilize various consensus algorithms based on the size of the network. By default, it uses the Proof of Elapsed Time (PoET) consensus algorithm. It has support for support for both permissioned and permissionless deployments. ✍ You can run any kind of Ethereum Virtual Machine code, like Solidity, for example, you can compile that and run that on Sawtooth. 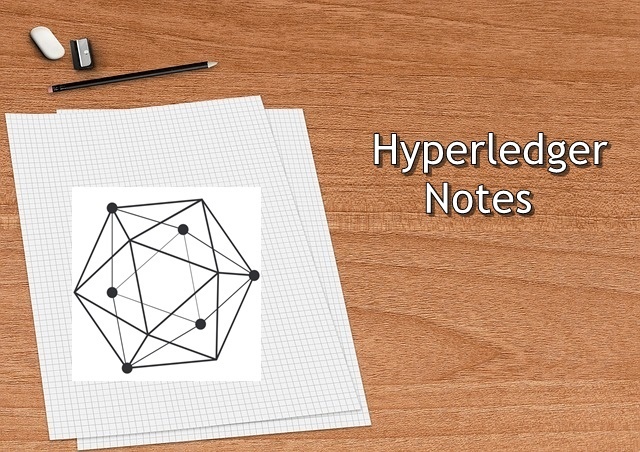 ✍ Hyperledger Fabric provides a modular architecture, which allows components such as consensus and membership services to be plug-and-play. Hyperledger Fabric is revolutionary in allowing entities to conduct confidential transactions without passing information through a central authority. This is accomplished through different channels that run within the network, as well as the division of labor that characterizes the different nodes within the network. If you have a large blockchain network and you want to share data with only certain parties, you can create a private channel with just those participants. ✍ Hyperledger Indy is a distributed ledger purpose-built for doing distributed identity, and what that means is, it allows you to have a route of trust to manage the keys, schemas, proofs, and other information that you need to, in order to enable trusted peer interactions between different identities, as stored on a Hyperledger Indy blockchain instance. ✍ Hyperledger Indy allows individuals to manage and control their digital identities. ✍ Hyperledger Burrow is a permissionable smart contract machine that provides a modular blockchain client with a permissioned smart contract interpreter built- in part to the specification of the Ethereum Virtual Machine (EVM). The Application Blockchain Interface (ABCI) provides interface specification for the consensus engine and smart contract application engine to connect. ✍ Hyperledger Cello is a toolkit that allows businessed to build a Blockchain-as-a-Service (BaaS) platfor and reduces the effort required for creating, managing, and terminating blockchainsm. Hyperledger Cello allows blockchains deployment to the cloud. ✍ Hyperledger Explorer is a tool for visualizing blockchain operations. Other relevant information stored in the ledger. Generate a skeleton Angular application.